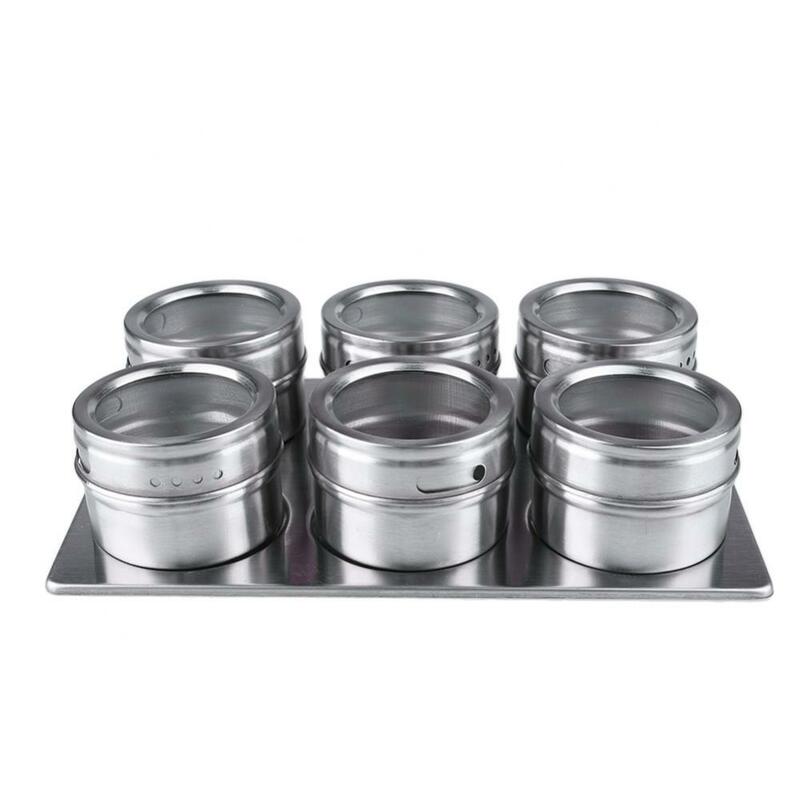 Magnetic bottoms so they can be safely stored on the metal rack. 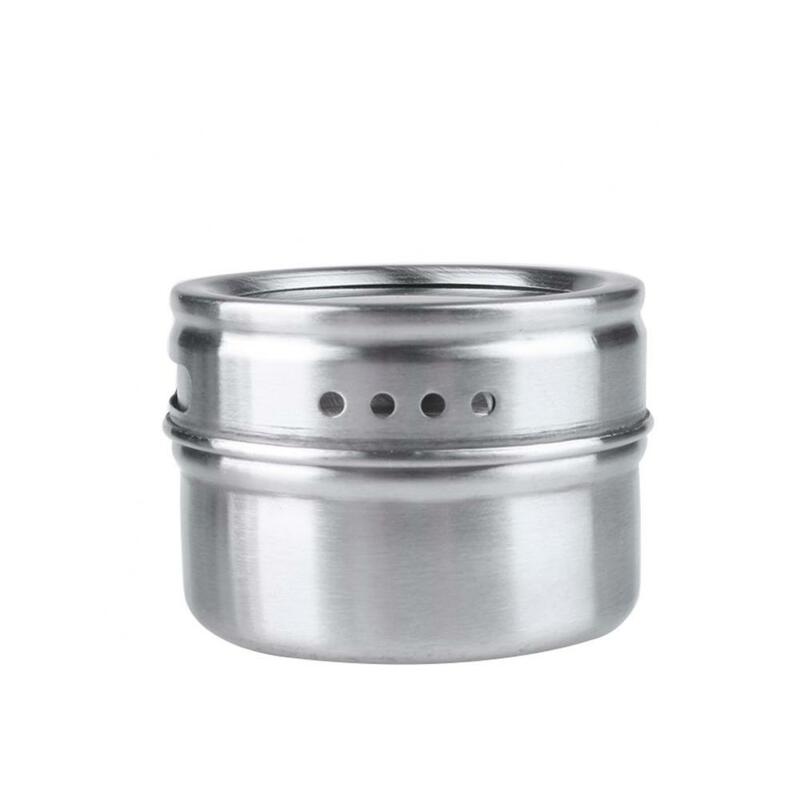 6 stainless-steel jars store all your authentic spice separately, to provide you a better culinary experience with its quality. 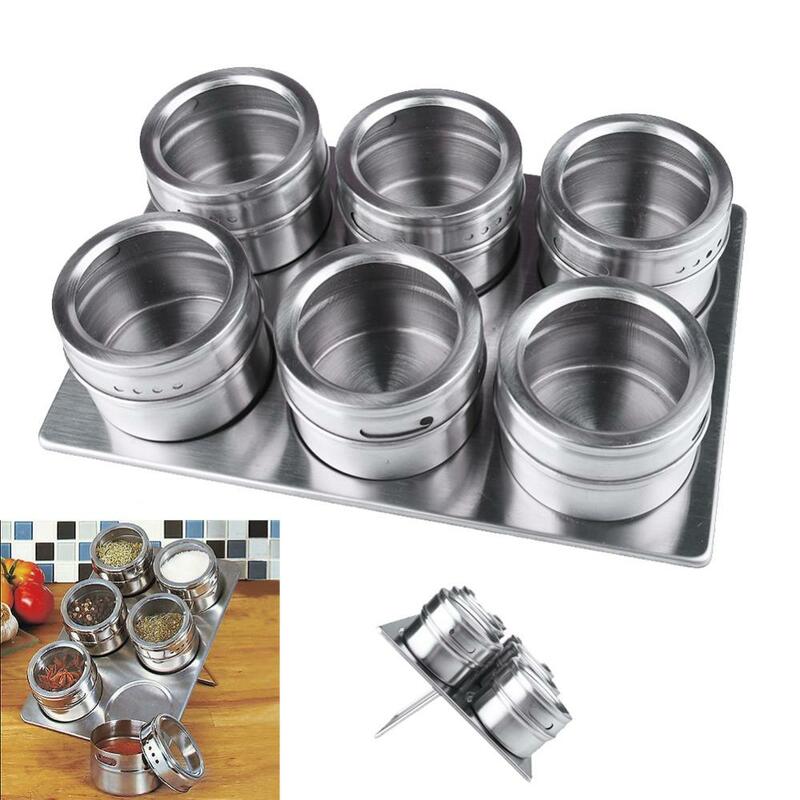 The traditional spice box storages of your essential authentic spices in one handy container. 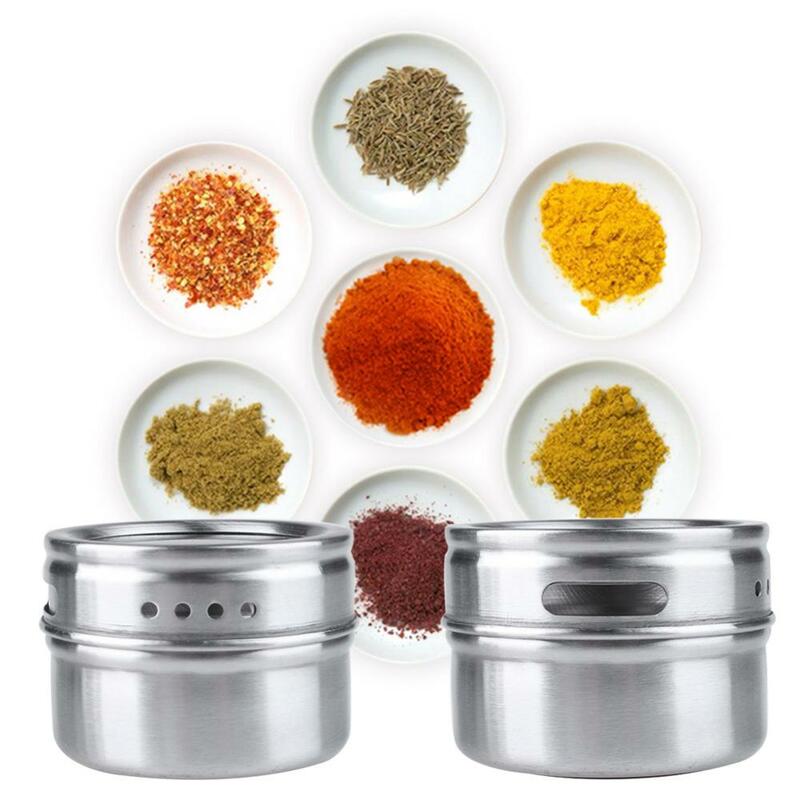 Storage spices and seasoning used on a daily basis for curries, stews, soups, casserole and many other recipes. 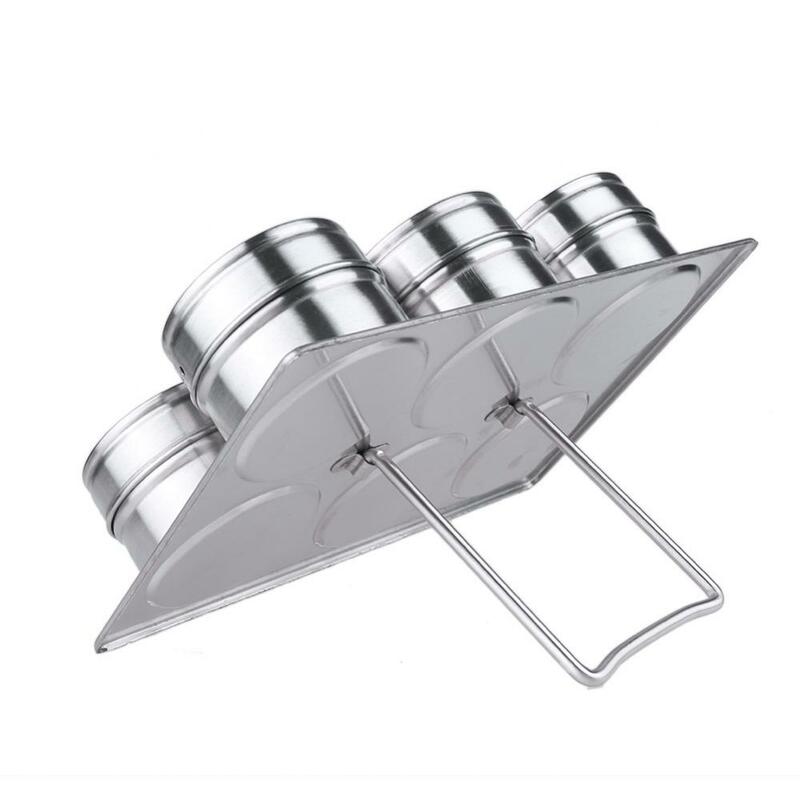 Convenient and elegant design, make your kitchen tidy and clean, make you love your kitchen and cooking. Love kitchen, love cooking, enjoy gourmet!